Commitment: We are at your service! We are dedicated to providing guests with a unique and pleasurable sailing experience. Our friendly and professional “on shore” staff will customize and plan every detail of your event with you right down to greeting you and welcoming you aboard on the day of your sail. 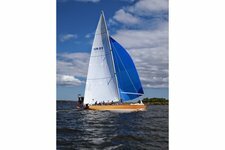 Once on board, our skilled and knowledgeable crew are at your service, tailoring your sail to your guests’ need. Our crew is the best in Newport and our guests agree! 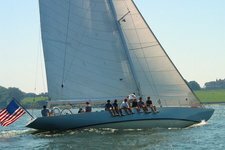 A sail aboard one of our famous America’s Cup yachts is designed to combine the fascinating history of Newport and the America’s Cup with an interactive sailing experience…an experience that is unparalleled in Newport! Experience: Our captains have over 35 years of experience sailing in New England waters and around the world, so you can expect the finest and most rewarding sail possible on your visit to Newport, Rhode Island. Our captains are all U.S. Coast Guard tested and licensed. Our crews are extensively trained to assist their captains in providing the most enjoyable and safest experience for those who sail aboard our America’s Cup yachts. Our professional team has over 100 years of combined sailing experience – let them share their passion for sailing with you!